If you are looking for a place at a musical university then Salford may be the right choice for you. From January until April this year, Salford University will be holding audition days, every Wednesday until the Easter break. The University would like to hear from any brass and woodwind players interested in finding out more about the courses on offer as their Music Directorate expands into the brand new £55 million Art & Media facility on the main campus starting in 2016. 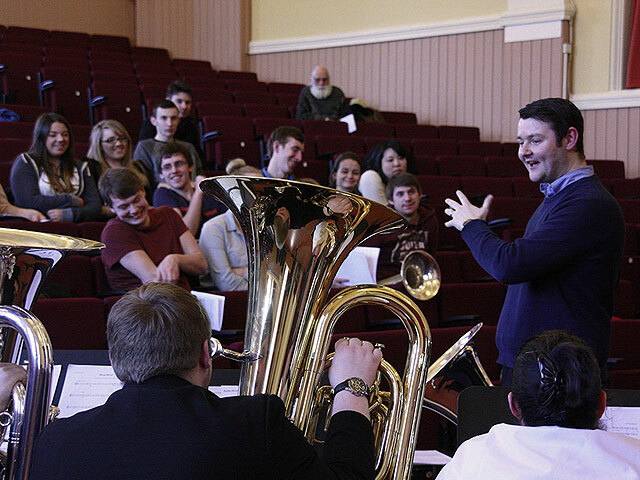 The University is keen to expand on its renowned reputation for brass and woodwind, which currently consists of two brass bands, a wind band and 15 smaller brass and woodwind ensembles, as well as a new University Orchestra. Students who come to Salford will also enhance their skills through an outstanding list of tutors, which include Les Niesh, Les Storey, Gary Curtin, Peter Christian and Billy Millar, Helen Varley, Mark Wilkinson, Brian Taylor, Mark Landon and Richard Marshall. He added: Salford offers the perfect musical environment to improve your skills of composition, arranging, conducting, event management, history of music, academic writing, journalism, recording, mixing, jazz studies and orchestral studies in a vibrant, friendly atmosphere. Contact Brett Baker on b.baker@salford.ac.uk to arrange a visit of the current site and seethe new facilities on the main campus as well as information on available courses.